A friend and I went out to the North Beach this evening hoping for shorebirds at the 8.1 foot high tide. 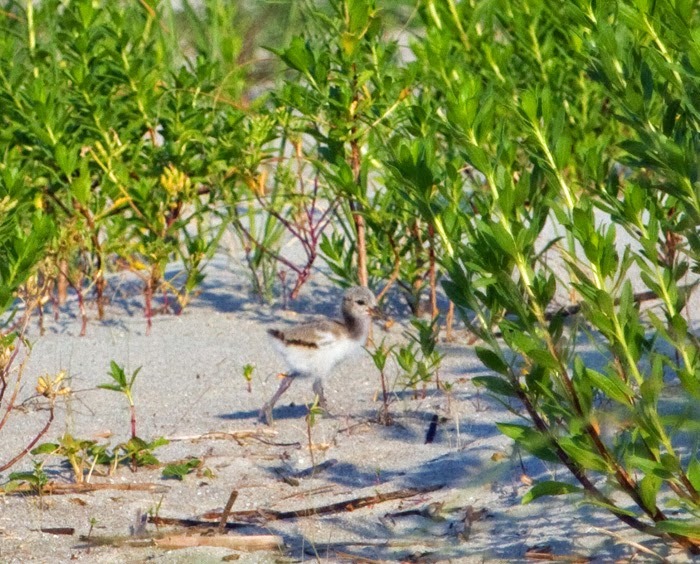 We dd find Sanderlings, Least Sandpipers, Semipalmated Sandpipers and Semipalmated Plovers. 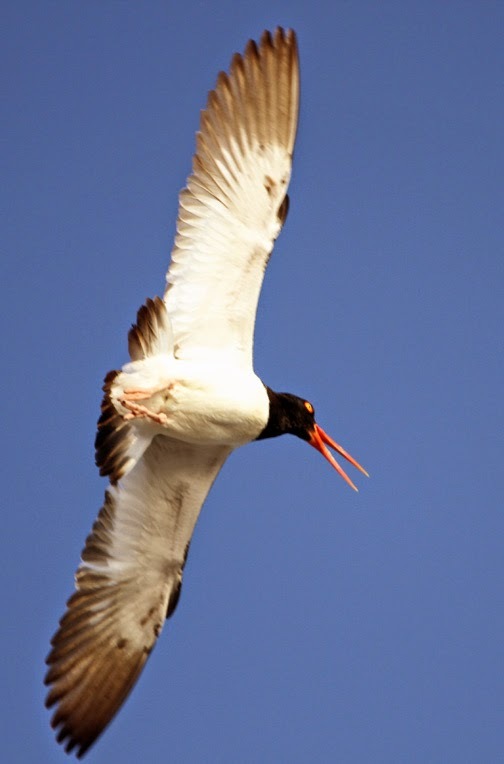 However the treat of the evening came after we spied an American Oystercatcher standing on the beach. 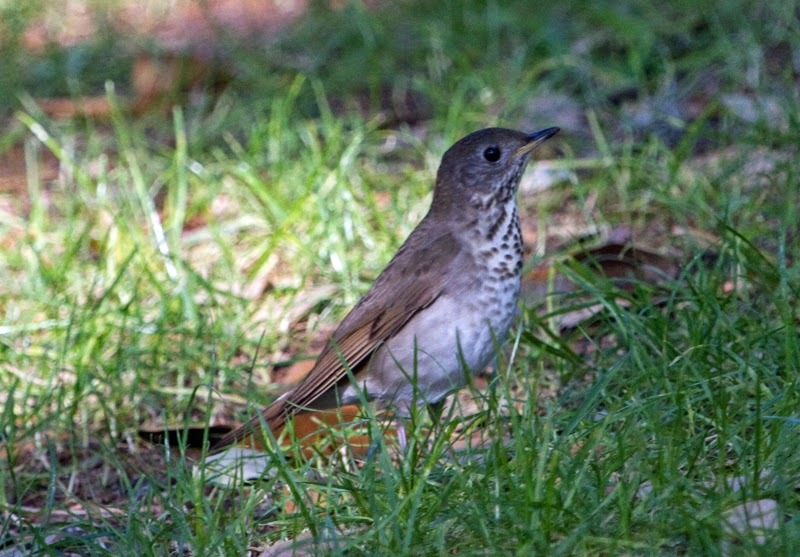 I wondered what it was doing there as I expected most to be on territory with nests and eggs or chicks by now. Then, a boat-tailed grackle landed on the beach, not particularly close to the oystercatcher. 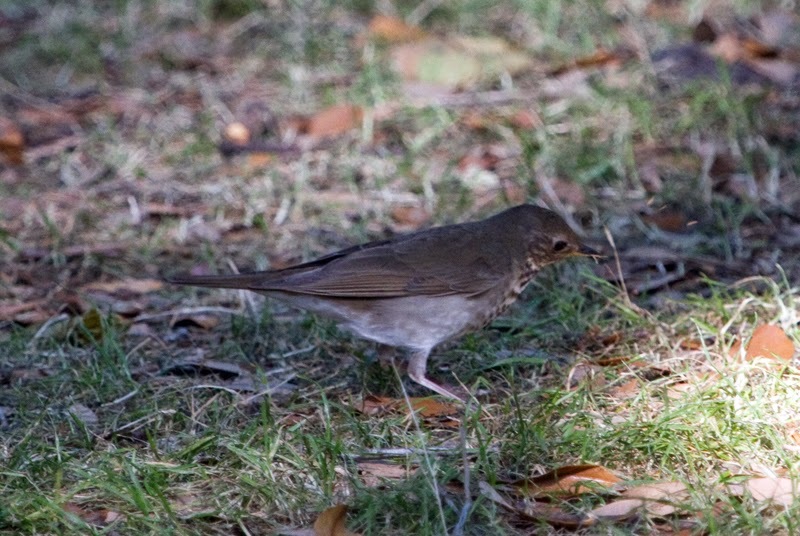 It immediately flew over and began harassing the grackle, driving it farther away. This made me think even more seriously that this bird must be on territory and may have a nest nearby. Then, glancing back toward the dunes, I spied something small that almost blended with the sand. 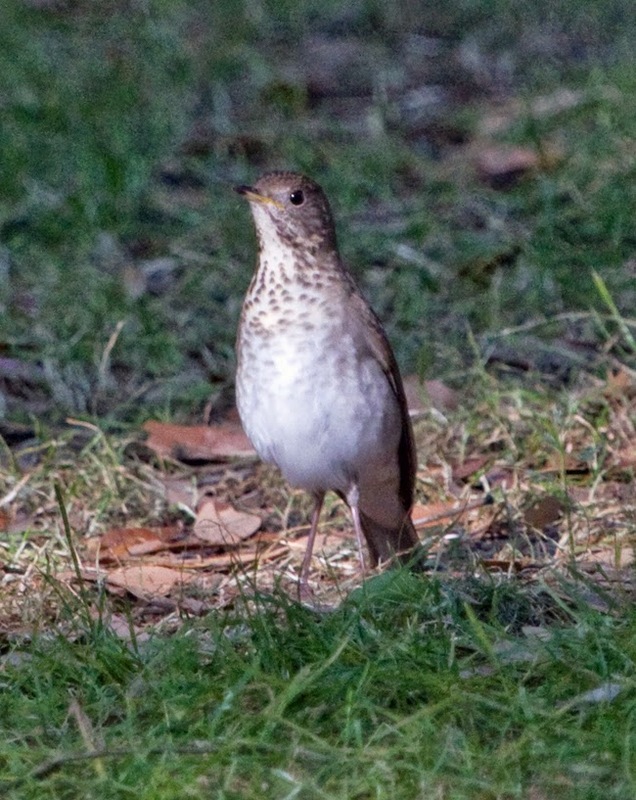 parent bird had been standing. into the dunes. Later, 3 crows flew over and both adults took to the sky, aggressively calling and bothering the crows to make sure they left the area. 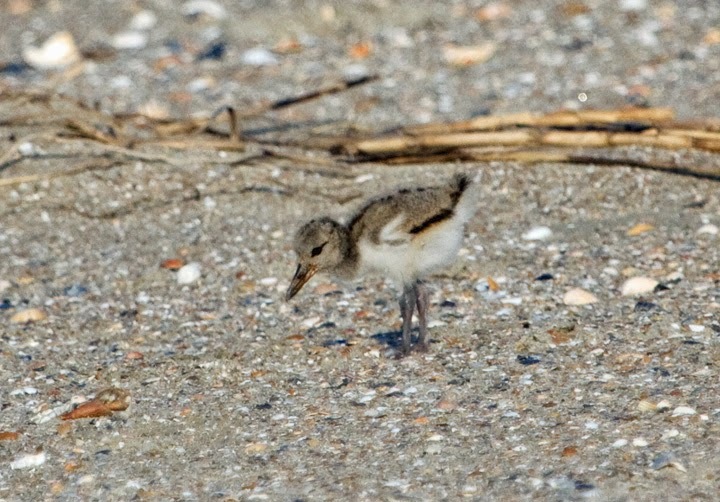 My friend and I hung out a while and later saw one adult walk out onto the beach where it was joined by one of the chicks. 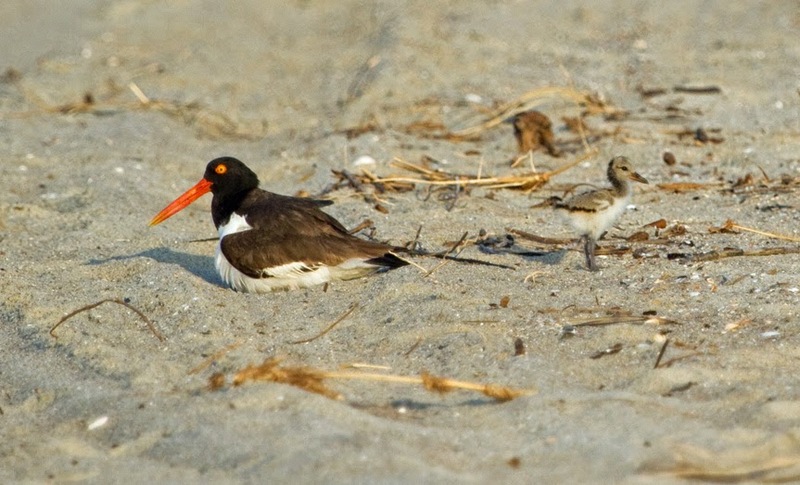 Adult and juvenile American Oystercatchers. 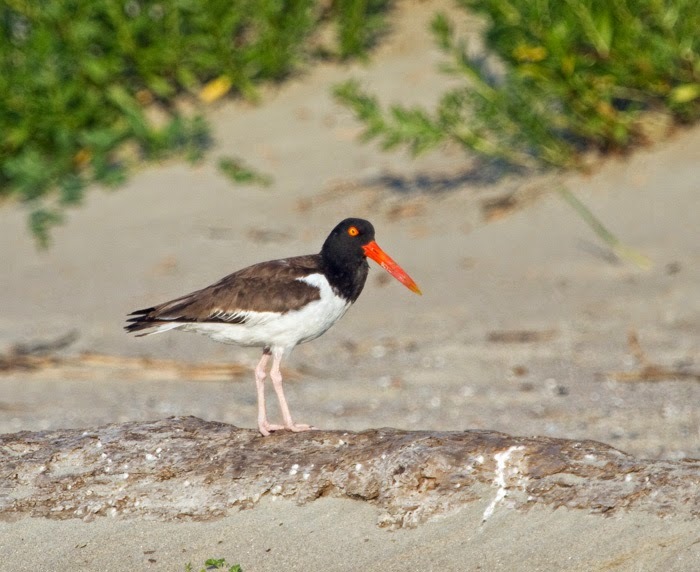 In the 15 years I have been back in Savannah, this is the first time I have seen a pair of Oystercatchers with chicks on the North End of Tybee. 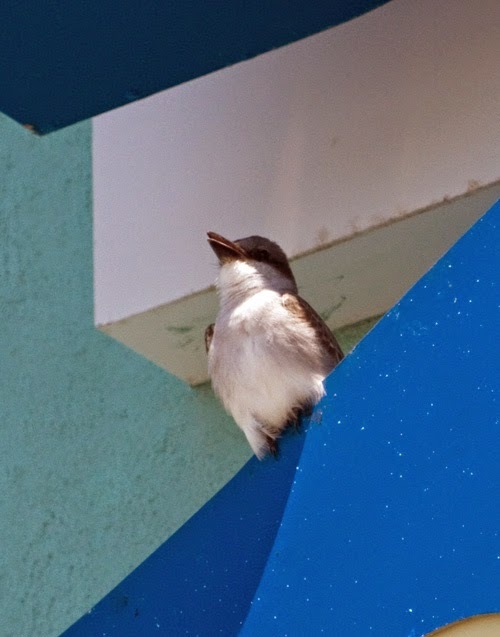 On Tuesday afternoon, after I voted at the American Legion on Tybee, I went over to the Ocean Plaza Resort to check on the Gray Kingbirds. 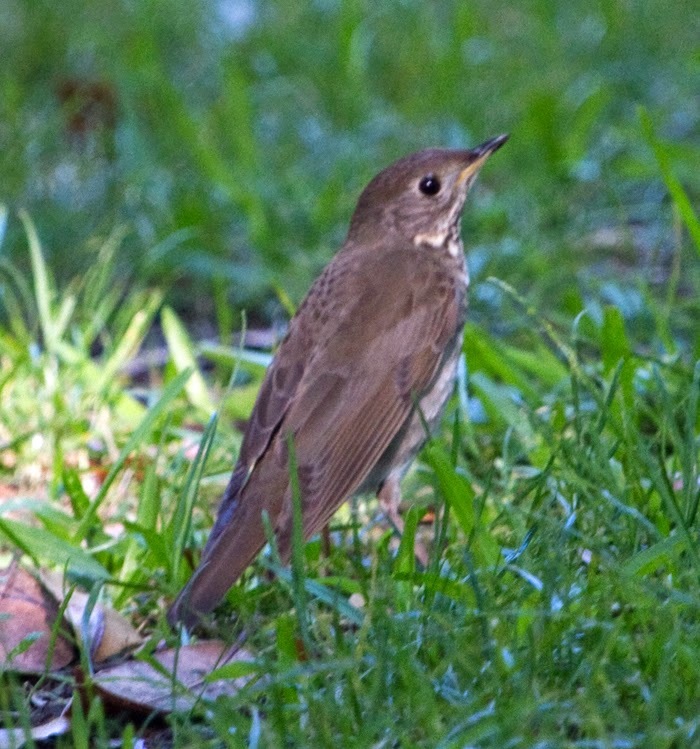 On May 4th, I had seen one adult and was hoping that its mate had arrived. 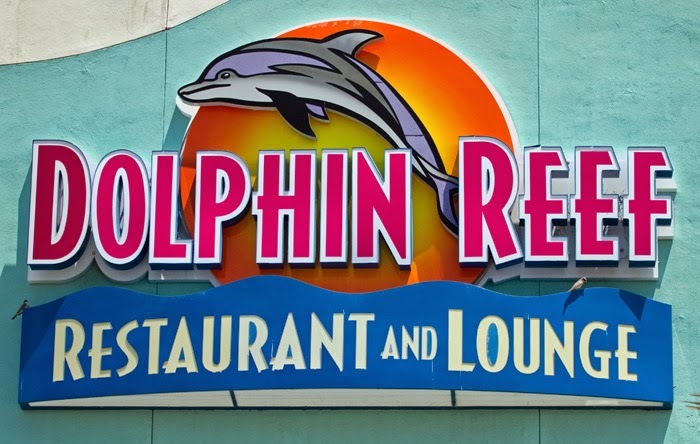 After circling the parking lot, I noticed a kingbird-shaped bird sitting on the sign for the Dolphin Reef Restaurant. Bingo! 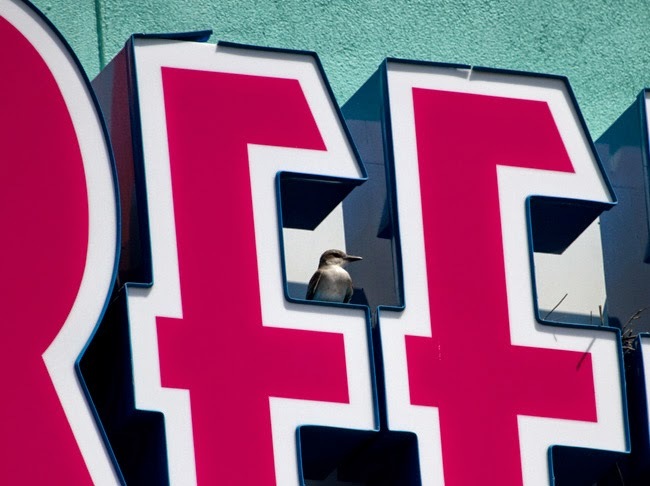 Then a second bird flew in carrying a stick and flew to one of the Letter Es in the word REEF. I continued to observe. 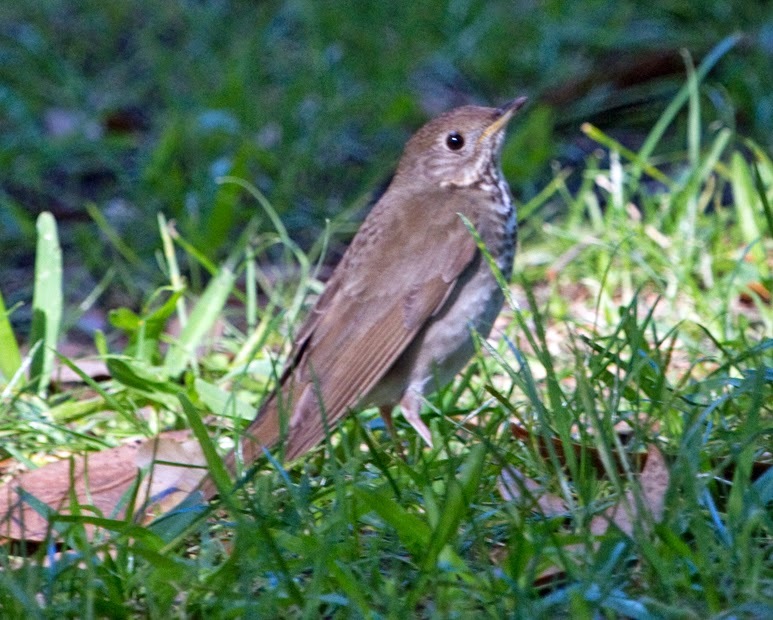 It appeared that one bird, the male?, stood guard on the corner of the sign, singing from time to tiime. The second bird was actively flying back and forth, bringing, checking and arranging sticks. 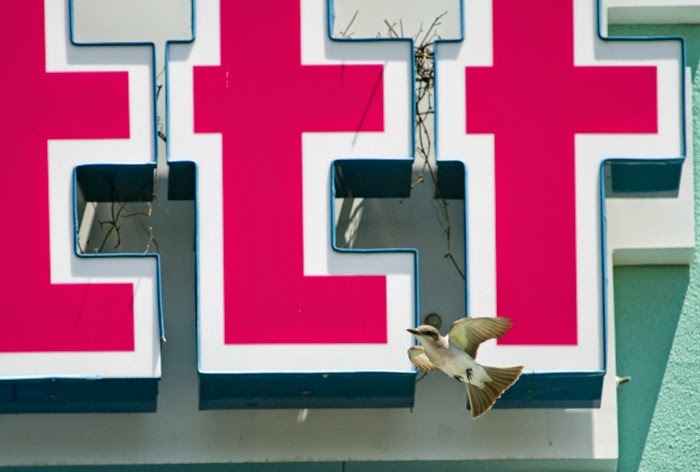 This bird would occasionally go sit in the sign and peer out, before flying off again. Then both birds would leave and be gone awhile before returning. Seems like an interesting nest choice - certainly away from possible predation by raccoons or rat snakes! 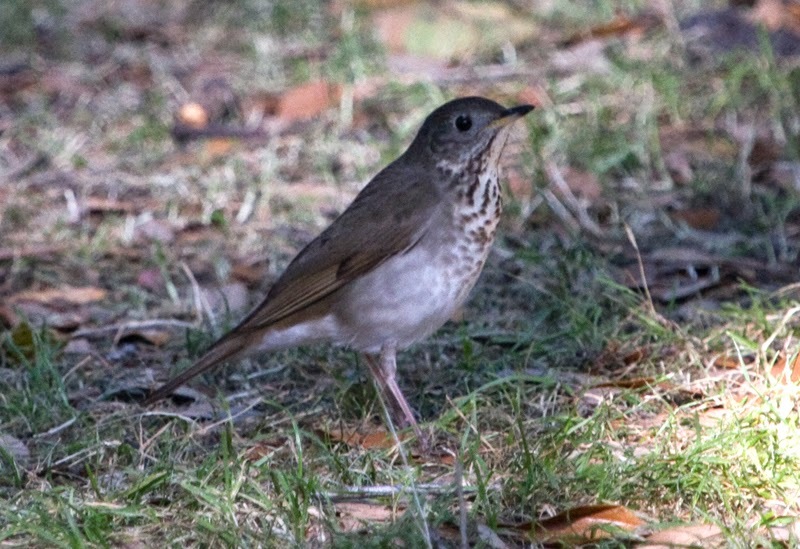 I went to Forsyth Park in downtown Savannah this morning, partly because James Fleullan reported seeing Veery and Swainson's Thrush there. 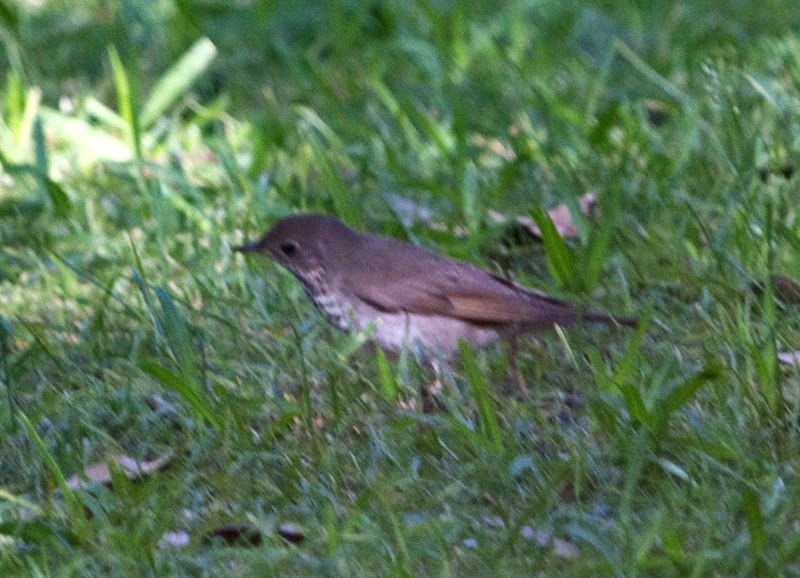 I wandered around and finally found an American Redstart, a Blackpoll Warbler and a Red-eyed Vireo. 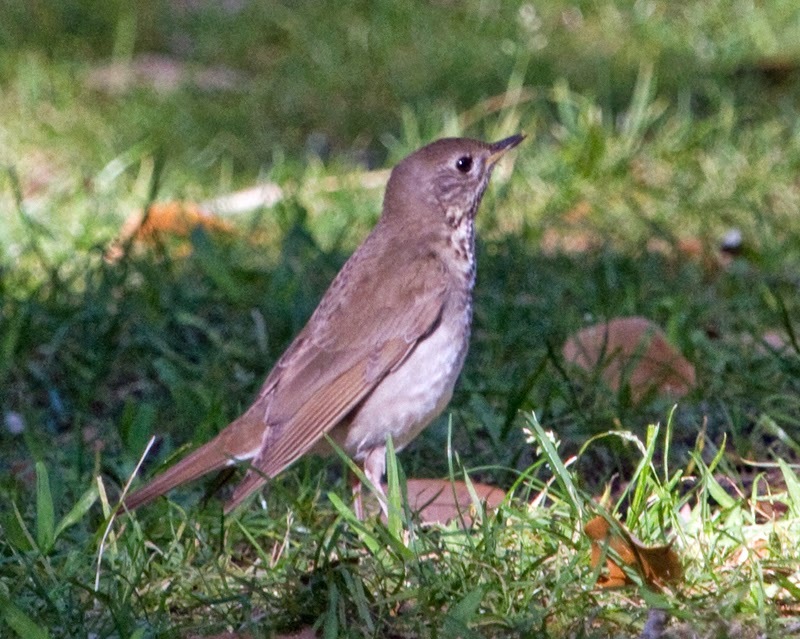 As I was headed towards my car on the west side of the fountain, approaching Whitaker St., I spotted a thrush. 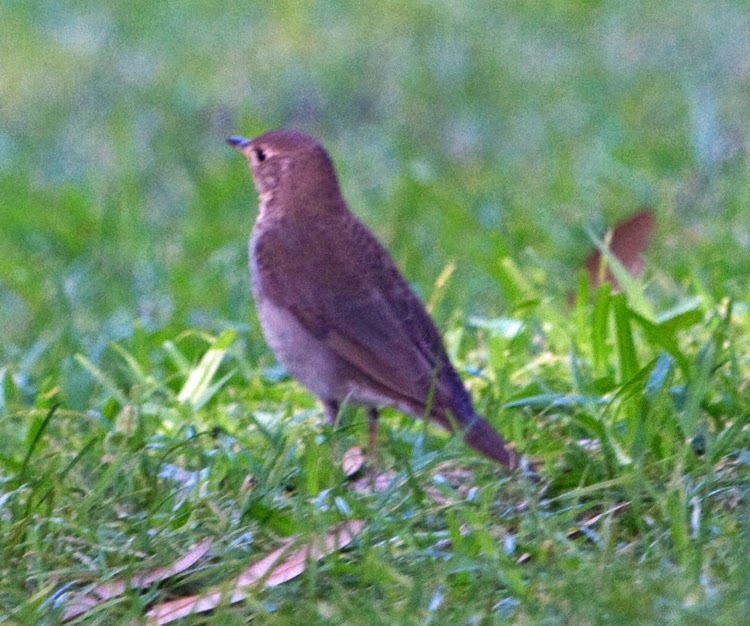 It had a brownish back, two-toned bill, grayish face and no buffy eye ring. I attempted to get photos. 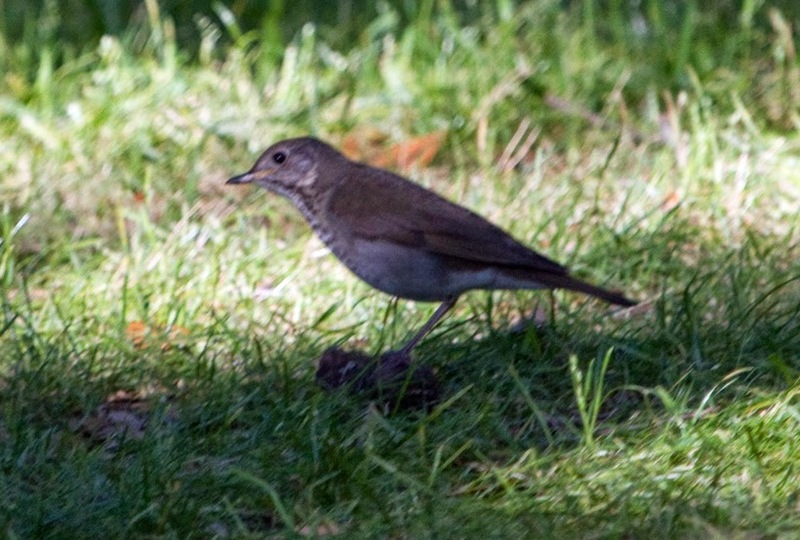 Then I spotted a second bird a bit further away. My first impression was that it was a bit more red-brown than the first. I got a couple of more distant photos. After that, someone came by walking a dog and both birds flew into a nearby tree. They eventually came back down, then flew again. 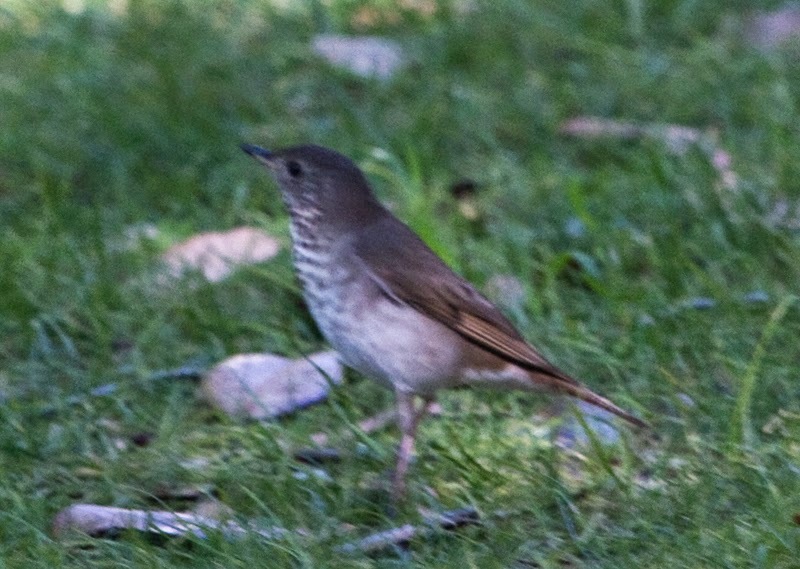 I started following and photographing and got confused as to which bird was which. Here are a few other images. Comments appreciated!